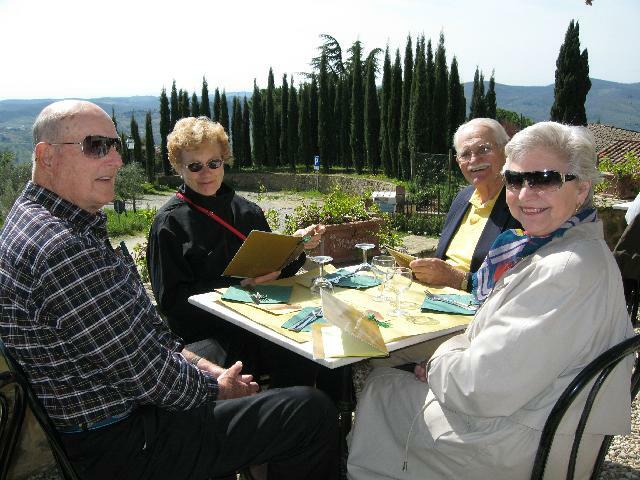 We had a wonderful time and enjoyed getting to know you and Patti as well as John and Sally and all the other fellow travelers. Your positive attitude, enthusiasm, dedication, and patience were inspiring. 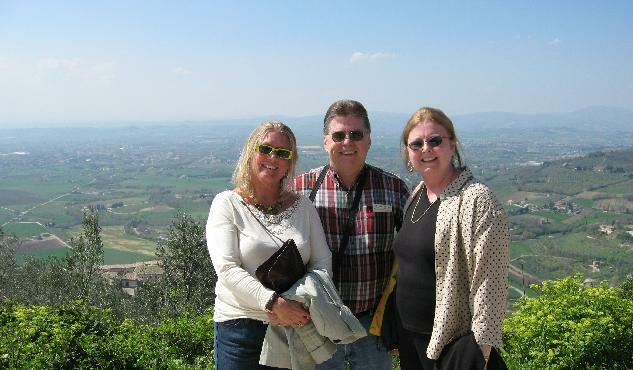 We particularly enjoyed Siena and the medieval hill towns we visited. The timing of the tour was excellent and I am grateful that we were not there in the peak of the season. My compliments to you for ordering up the weather, too. The four of us are in agreement this must have been one of the best, if not THE best, vacation we ever had. 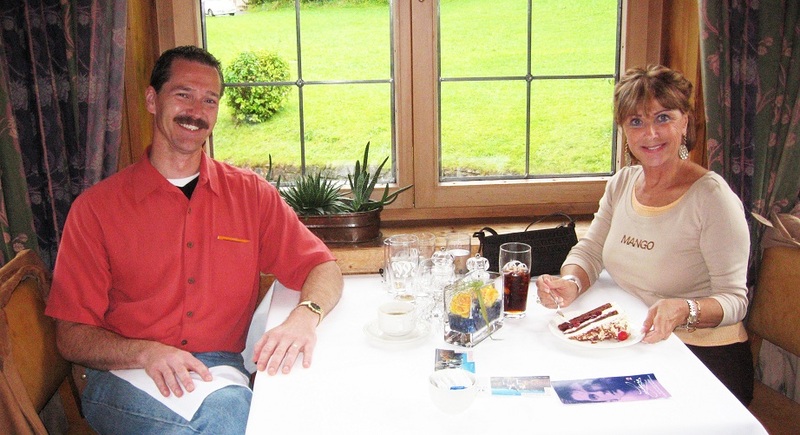 We look forward to seeing you and Patti again somewhere, sometime and on some high-altitude experience. 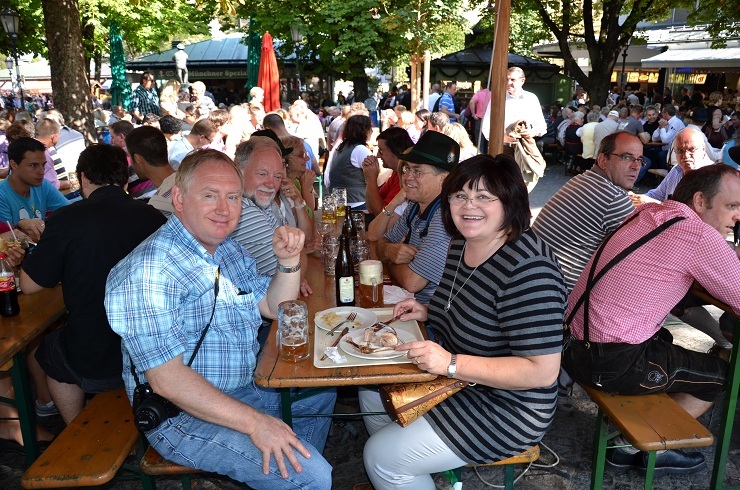 The beer garden at Munich's Viktualen Markt is a good place to savor a brew while meeting new people. 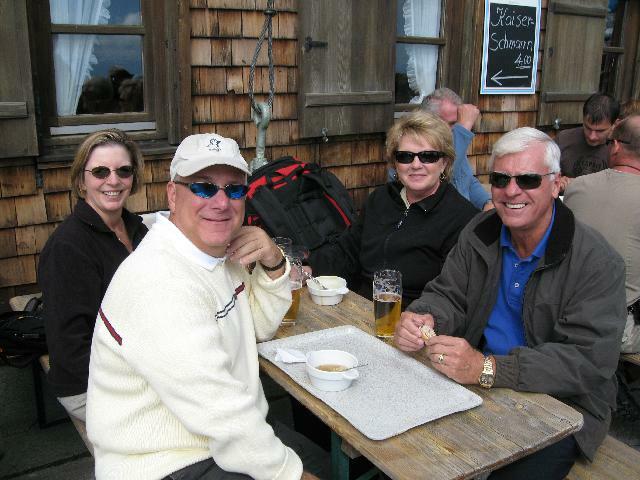 I can't begin to tell you how much we enjoyed the Alps trip. It was absolutely wonderful. 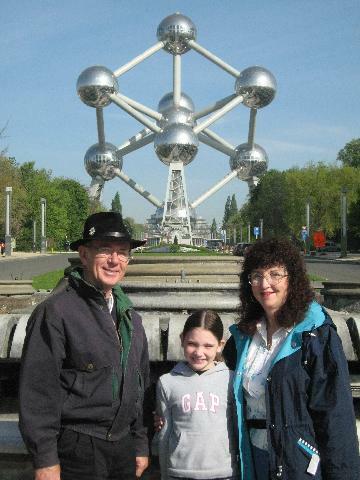 You are by far the best tour guide we have come across and I feel extremely lucky that Joyce found you! You know how to do the tours properly. I never felt rushed at all and had a blast. The Alps were wonderful. That whole place was as if it were out of a story book. That trip was priceless! Thank you for such a wonderful trip and we can't wait until next summer for the next one! 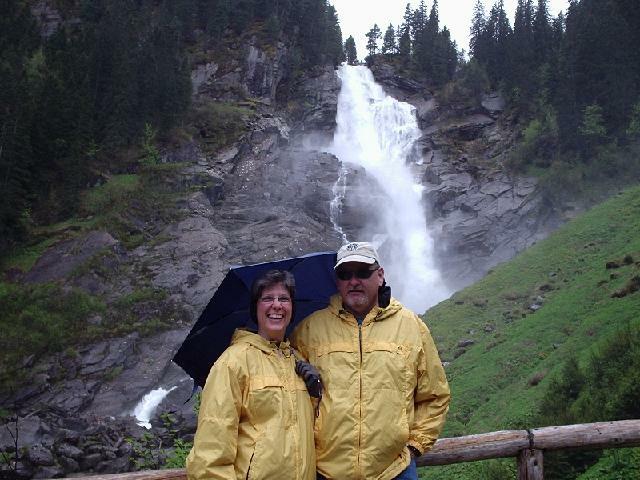 Belinda and I are so glad we made the Austrian trip! The group was great as was the tour. It was truly our great fortune to have found you on Google. We are looking forward to the next chance we have to travel with you. We had such a wonderful time on the trip - the hotels were all first class and their employees were friendly and helpful. The planned activities were enjoyable and we had plenty of free time to explore areas of interest. Eva enjoyed telling her classmates at school about her trip. 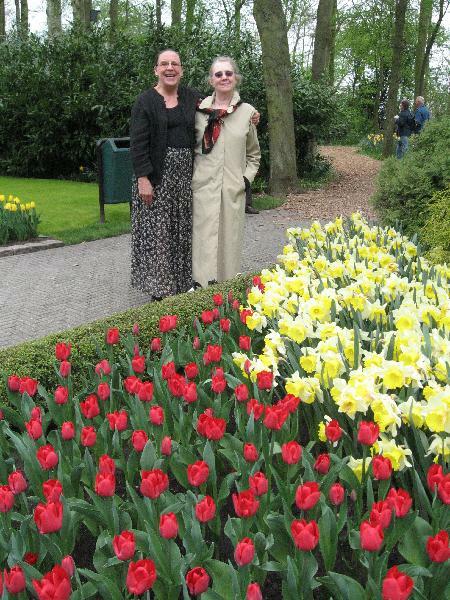 She is still talking about the tulips at Keukenhof Gardens, the visit to the Rijksmuseum, our visit to Madurodam, and the windmills. Thanks again for a wonderful tour. We look forward to going with you again in the future! Lake St. Moritz freezes over in winter and horse races are held there, but the weather was perfect on our 2007 visit. Thank you again for an incredible trip. My mother and I couldn't have had a better time. 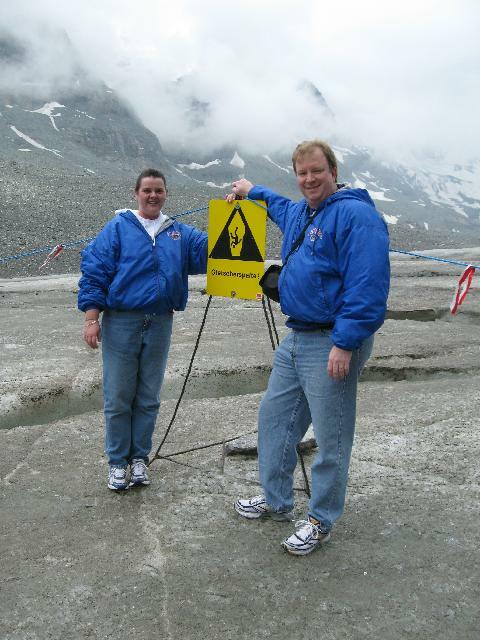 I got a note and picture of us in Heiligenblut from Gayle Chandler and I was reminded again of how wonderful the trip was. I did not realize it would be so special. Thanks again...you helped a dream come true...hope to be able to take another trip soon. Dan and I want to thank you and Patti for all that you did to make this such an amazing trip for us!! We thoroughly enjoyed ourselves. I have already recommended you to some of our neighborhood friends. We have decided there will definitely be another Creative World Tour for us!! The trip was everything we had looked forward to and more. We have looked at the pictures a dozen times already. You no doubt tell every group they were "the best ever" ... but this group was truly the best we have ever traveled with. What great fun they were to be with. And miracle of miracles, I have even found Smithwick ("Smitticks") beer here in The Villages! We certainly would look forward to traveling with you again. Many thanks to you and Patti for a wonderful tour. It met or exceeded our expectations in all aspects. It was a pleasure meeting you. The Pasterze is the longest glacier in Austria and in the Eastern Alps, at more than four miles in length. It lies in the Hohe Tauern mountain range directly beneath Austria's highest mountain, the Grossglockner. Mike and I just wanted to say thank you again for another trip of a lifetime. We really, really appreciate the VIP service!!!! Our rooms at every hotel were great! Everything was wonderful. The Greatest!! Wonderful. As you have heard me say day in and day out, each event and place was "so fun" and definitely an A++. I want you to know what a fantastic experience we had on your tour. We enjoyed ourselves very much! Because we both work in the health industry, we especially appreciated all the attention to the notion of a clean mind and body. For the body, at each stop on the tour, we had our choice of wholesome breads, fresh fruit, excellent seafood, exotic juices and lean meats. For the mind, the clean air, water and environs combine with the local people to help displace the worries of an otherwise chaotic lifestyle. You have clearly done your homework for this tour. 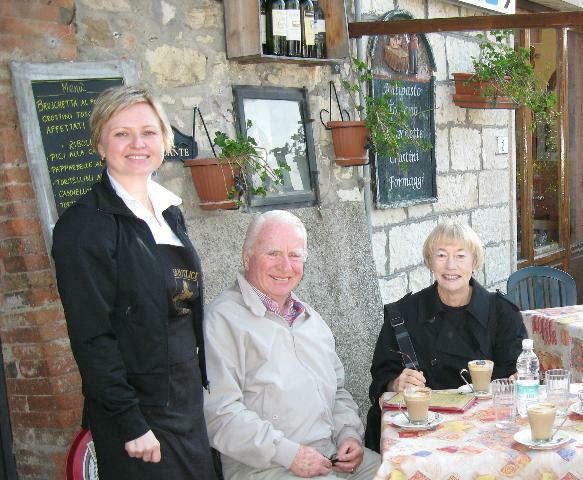 Your knowledge and genuine interest in the people and places of this tour are simply second to none! This tour exceeded all our expections. Afternoon tea - not just tea and an assortment of tiny sandwiches, scones and pastries, but as the menu at the Grand Hotel in Amsterdam says, "There is tea and tea..."
In the courtyard garden of the Grand, we were served three of the finest hand-picked specialty teas from Betjeman and Barton of Paris. These teas were specially composed for Hotel the Grand Amsterdam Sofitel Demeure. 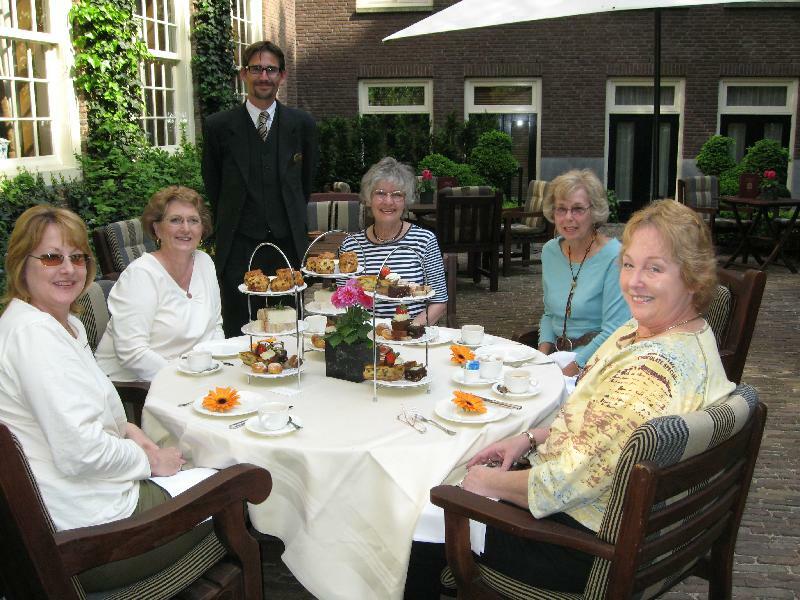 Koen, the teamaster of the Grand brought pots of tea chosen to complement each course. With the scones fresh from the oven, he presented "The Des Courtisanes", a Chinese green with blackberry, blueberry, clementine and vanilla, and small pieces of dried orange and rose leaves -a green unlike we had any tasted before. Melange Pouchkin came next, served with the savories. We were encouraged to enjoy ourselves as long as we wished and finally finished the pastries, apple tart, brownie, profiteroles and tiny banana bread slices with B&B's Melange Saint-Gerard, a combination of strawberries, raspberries and cherries, lightly perfumed with vanilla and caramel. Koen was assisted by Gloria and Cecelia who graciously placed one Gerbera Daisy at each place of our group, the girls from Florida, New Mexico and Texas. 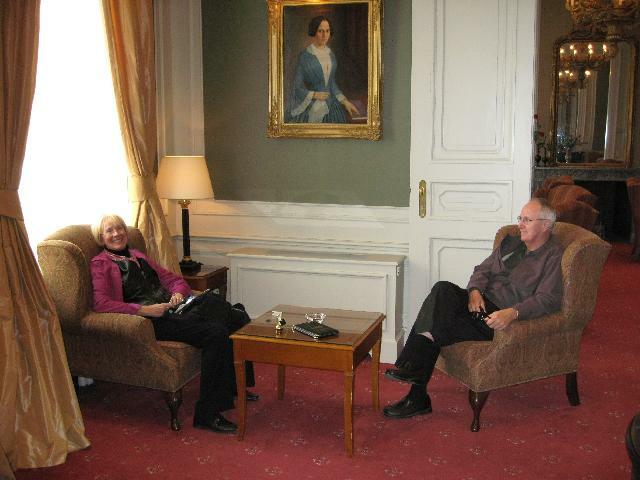 What a wonderful ending to our 10-day tour of Belgium and the Netherlands with Patti and Michael! Truly unforgettable! We just wanted to thank you for a wonderful 12 days. Your tour was very professionally executed, your knowledge on the area and the history of the people/countries was exceptional and the choice of places to visit and accommodation was just fantastic. Thanks once again for a wonderful "Alps" experience. You and Patti couldn't have been more gracious in sharing all your expertise with us. This was our first trip to Europe and the experience was more than we both expected. 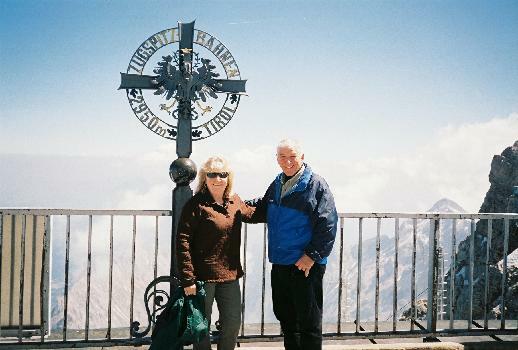 Michael and Patti were extremely knowledgeable and helpful throughout the tour. 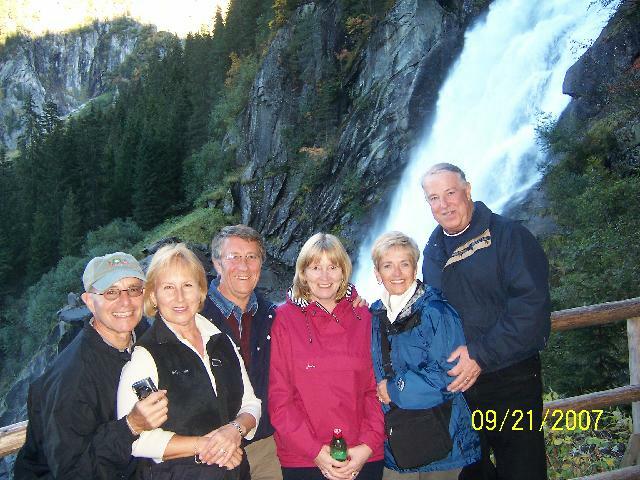 The G�ssnitz Waterfalls were magnificent - worth the walk! The trip was the greatest. It was more than I expected. 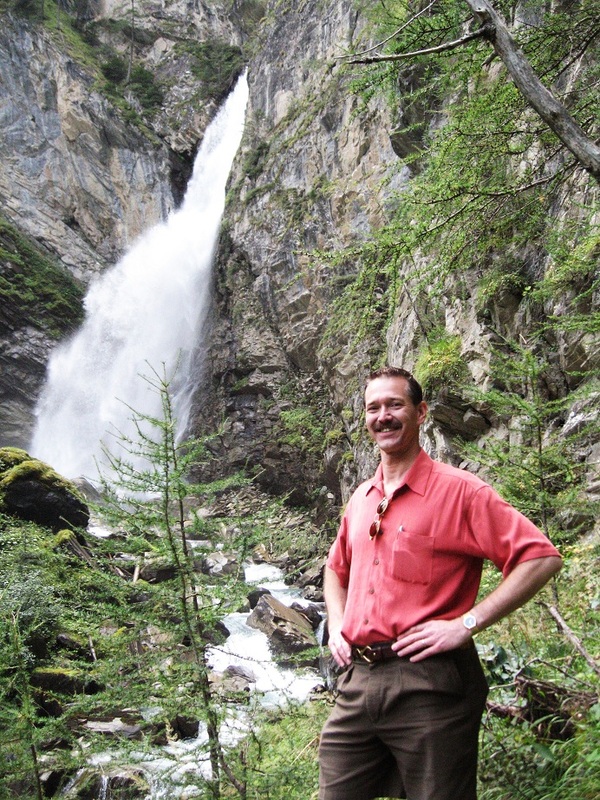 You deserve a lot of credit for your choices of hotels, guides, and scenic routes. And before the trip ended, everyone were good friends. Thanks so very much for a wonderful time. We will do it again! I cannot imagine a better planned, executed, and thoroughly prepared tour. You provided outstanding hotels and fine dining. The breakfasts set to fulfill all tastes and dinners set examples of fine culinary arts. To me the purpose of the trip was to enjoy and learn. 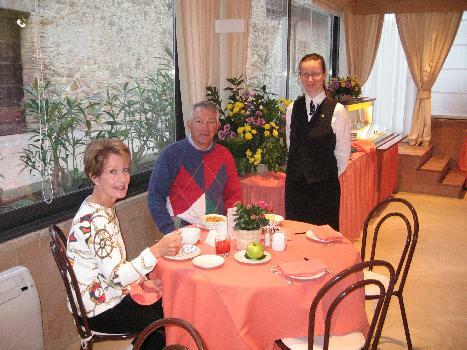 You provided outstanding tour guides at each major historic sites and art-filled exhibitions. Both you and Patti made it easy to enjoy. We had a great time. Thoroughly enjoyed the company of all on the tour as well as being with you and Patti. 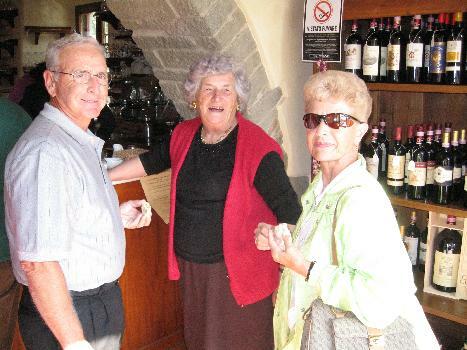 Your Tuscany Tour was wonderful. 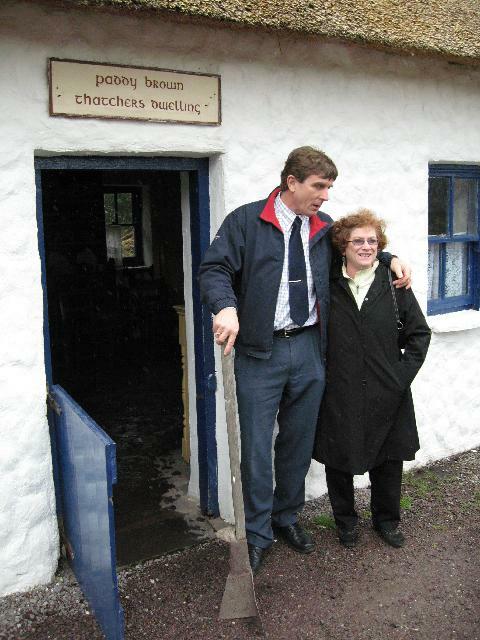 This was our second trip abroad with you and your lovely wife, Patricia, shepherding your flock members initially to Ireland. Your taste for "room and board" have always been first class. Your knowledge of the places you guide us through is most professional and very informative, and very much appreciated. 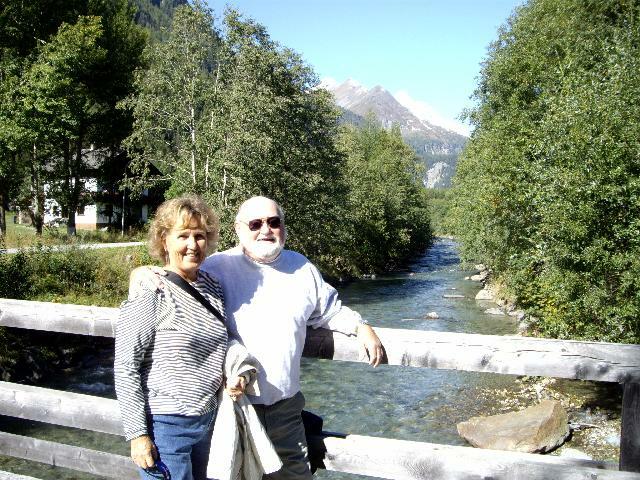 Larry and I had a great time in Austria and Germany. We were impressed with your organization and knowledge of the countries and their features. Thank you again for a splendid trip and sharing the many outstanding sites, the timeliness and care that we received. Great Job! Thank you Patti, too! and the world since 1974.